You can adjust your availability for pickups and drop offs in Wheelbase that will be displayed online to indicate to renters when is appropriate to schedule their times to come in. Scroll down and input the the values for when the time windows begin and end. 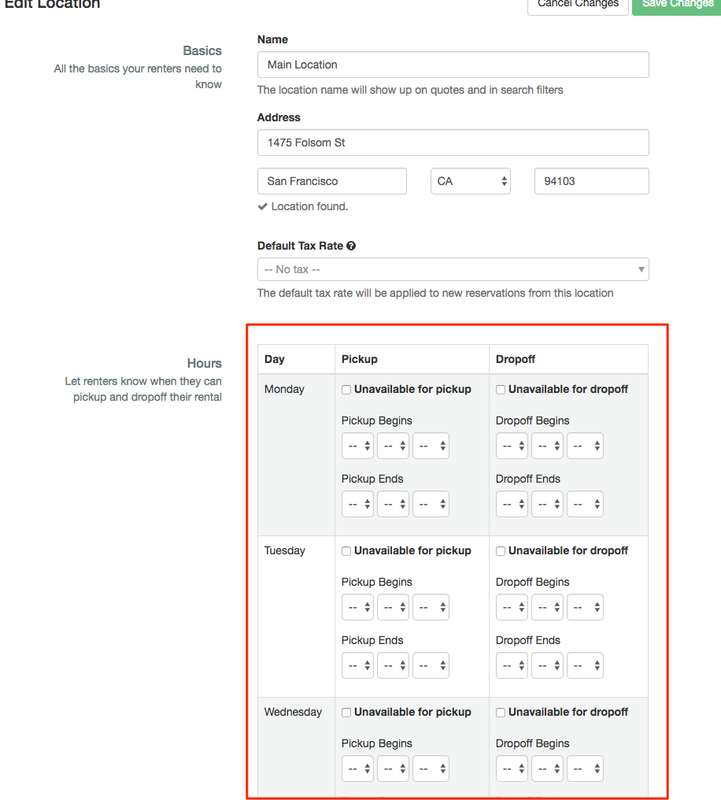 You can also check the box to mark that day of the week Unavailable for pickup or drop off.